Morocco lead by Juventus defender Medhi Benatia are perhaps the weakest country to represent Africa in Russia this summer. Their squad boasts of only a handful of household names in European football. As stated earlier, Benatia is their most experienced player and only Younes Belhanda and Nordin Amrabat are the others who are known on the European stage. Young attacking midfielder Hakim Ziyech and Real Madrid defender Hakimi are others to look out for as many players have secured big career moves after impressing at the World Cup. The Lions of Atlas have previously been involved in 5 World Cups and hold the record for being the only African country to win a World Cup group. They achieved this feat in 1986 and were eliminated at the round of 16 stage. Their first appearance on the world stage was in 1970 and 2018 will be their first World Cup in 20 years. They win 12 points in World Cup qualifying and recorded impressive victories in friendlies against Serbia and Uzbekistan. 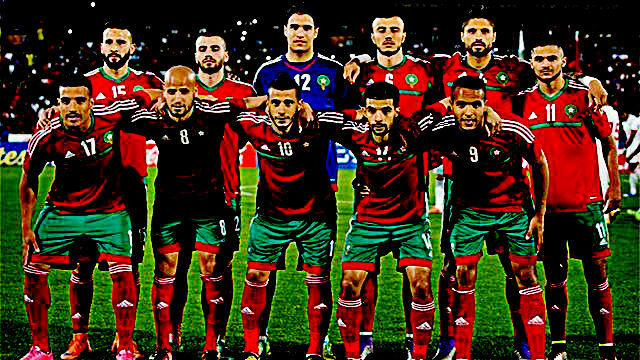 Led by Hervé Renard, the Moroccans play in a 4-1-4-1 formation. Morocco tend to possess the ball often and are willing to apply pressure and press for possession when they lose it. It is unlikely that they will get as much possession against superior sides like Spain and Portugal but their pressing style should suit them well. Benatia is the leader of the team and also a leader of the defence. 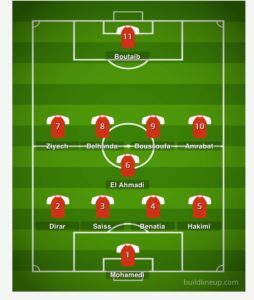 He is likely go form a defensive unit together with Dirar, Saiss, Hakimi with Mohamedi in the goalposts. Morocco usually lines up with 5 players in midfield. El Ahmadi plays in the holding midfield role and works hard to allow the four other midfield players express themselves. The four are likely to be Amrabat, Belhanda, Boussoufa and Ziyech. In attack, Khalid Boutaib will lead the lines for his country. It is worth a mention that Munir El Hadadi would have been part of this team bar a directive from Fifa since he represented Spain once.